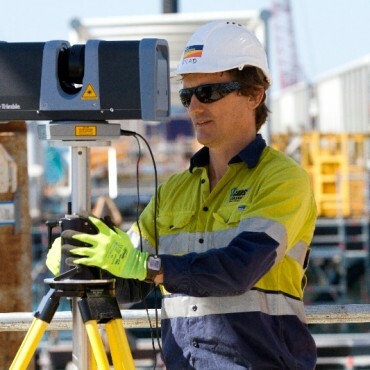 CADS’ laser-scanning surveys collect accurate dimensional information for complex or hard to access structures. With a data capture rate averaging 216,000 points per second and a positional accuracy better than 1mm, raw data can be collected in the field over very short periods of time. The massive point cloud can be used to create accurate 3D models for visualisation, dimensional examination, for as-built records, or for reverse engineering modifications to an existing structure. CADS recognises that different clients have different needs when it comes to interpretation and analysis of data. For this reason, we can tailor data formats to your needs, from simple point analysis to fully compiled 3D models.